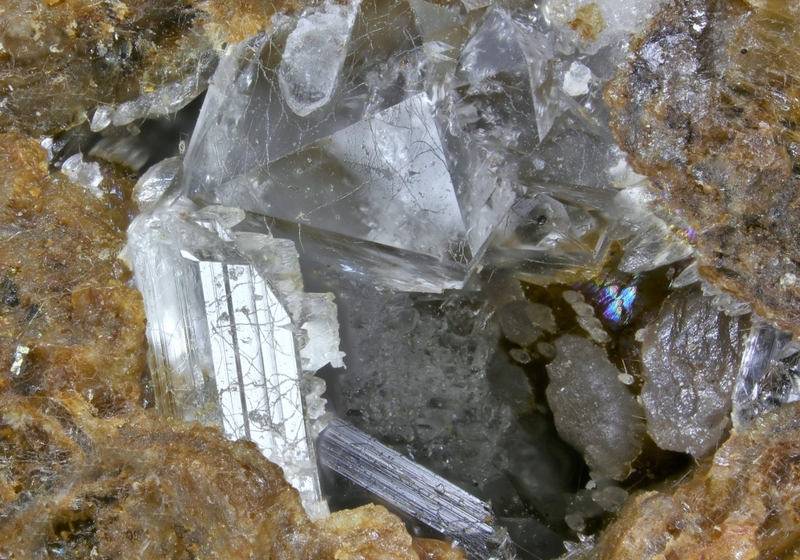 A nice classic association: colourless crystals of goedkenite on colourless prismatic crystals of palermoite both from the type locality. 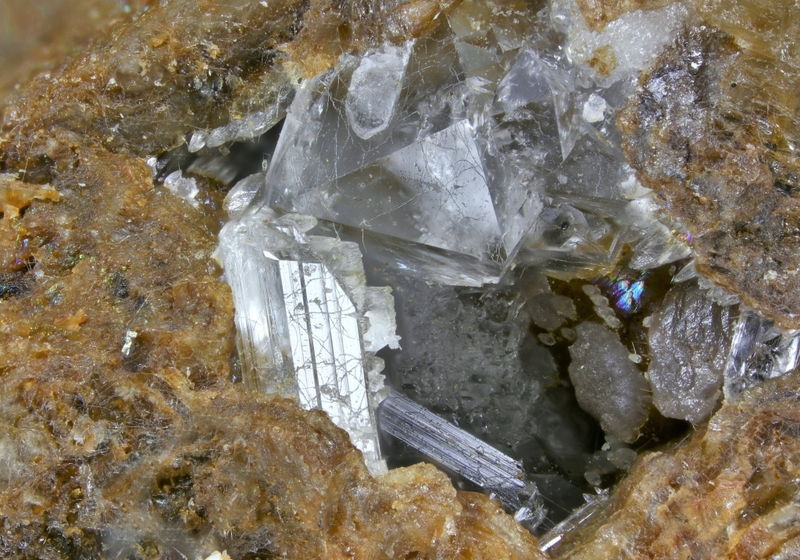 Goedkenite & palermoite are very rare strontium-aluminium-phosphates. Ex Arthur Wittern colection.